How to Find the exact version and release of Quickbooks? Open QuickBooks and then press the F2 key on your keyboard. QuickBooks will display the Product Information window. 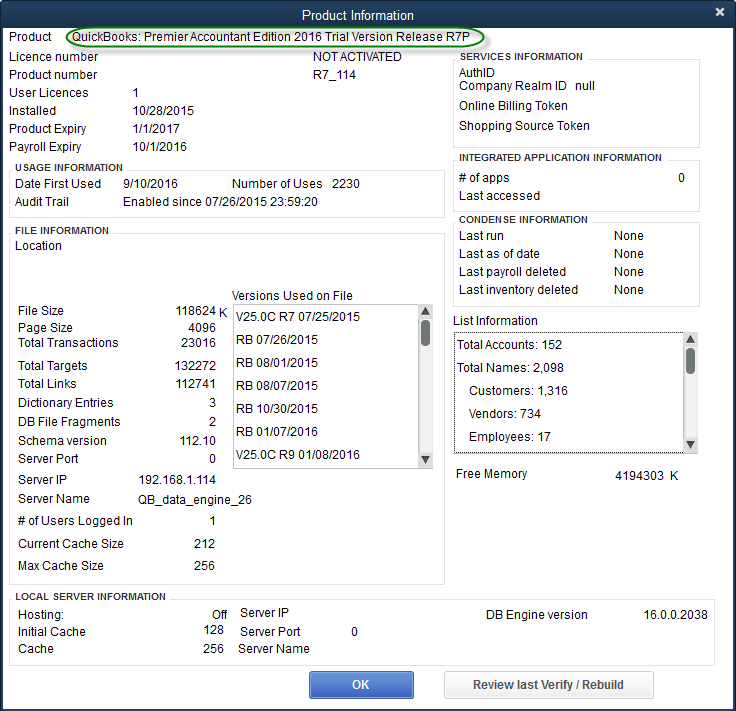 The first line of the Product Information window gives the QuickBooks product version followed by the release number RnP (where n is the release number).